Jean’s Canvas Products, fabricates and installs new cushions, or repairs old cushions for your interior or outdoor furniture. We can match your existing cushions exactly or upgrade to a whole new look. Jean's Canvas has the full compliment of designer fabrics for outdoor cushions. 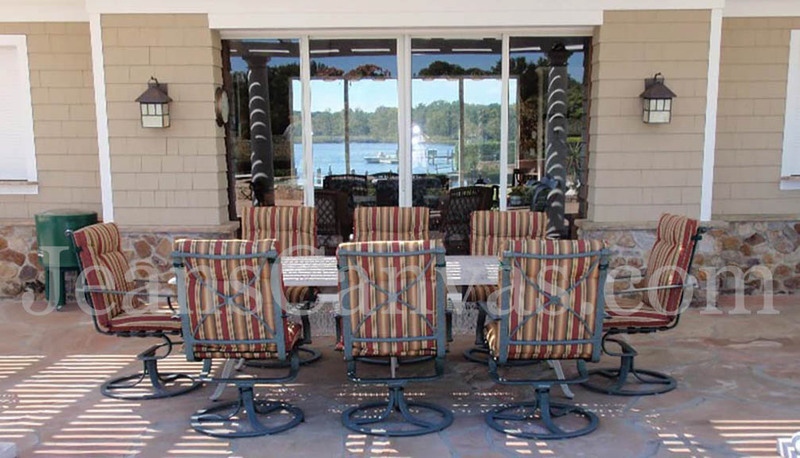 We will reupholster and re-foam all your patio furniture for a new and beautiful look that will make your outdoor space look unique and elegant. Jean's Canvas custom fabricated this deck with bench cushions so that the owners could more fully enjoy their deck.